Pakistan Tehreek-e-Insaaf (PTI) spokesperson Fawad Hussain on Tuesday denied media reports claiming that Imran Khan's party is mulling to invite SAARC leaders, including Prime Minister Narendra Modi on PTI chief oath-taking ceremony as Prime Minister. After PM Modi congratulated Imran Khan for his victory in elections, various media reports have speculated that Imran Khan may invite Indian PM to his oath-taking ceremony as Pakistan PM. Earlier, various media reports have suggested that Imran Khan is planning to invite Indian Prime Minister Narendra Modi and other SAARC leaders on his oath-taking ceremony as Pakistan Prime Minister on August 11. Media reports came after Prime Minister Narendra Modi congratulated Imran Khan on his party’s victory in Pakistan General Elections and hoped that it will start a new chapter in the relations of both countries. Pakistan Tehreek-e-Insaaf has won 116 seats in the elections, however, it would need to stitch an alliance to form alliance government in the country, since PTI lacks number to form the government on its own. Meanwhile, major political parties, Shahbaz Sharif’s Pakistan Muslim League (PML-N) and Bilawal Bhutto’s Pakistan People’s Party (PPP) in Pakistan have alleged that there was no transparency in the recently held elections and rejected poll outcome. Some experts believe that Imran Khan is thinking to repeat Narendra Modi’s style oath-taking ceremony. In 2014 after coming to power, Prime Minister Narendra Modi had invited then Pakistan PM and PML(N) chief Nawaz Sharif and other SAARC leaders on his oath-taking ceremony held in May. 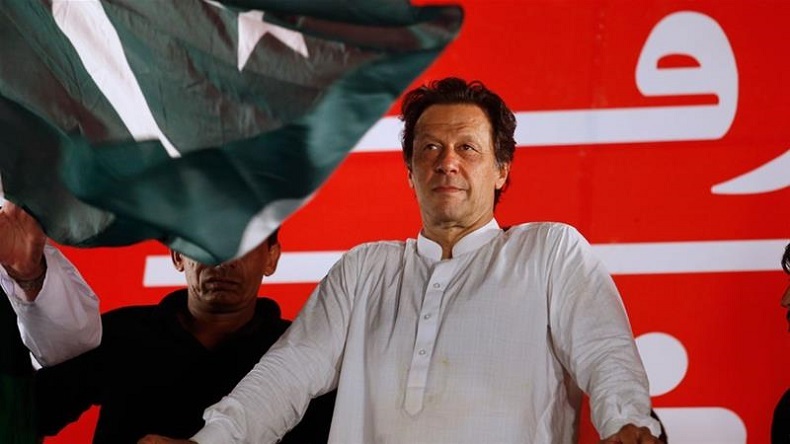 In his first speech after winning elections, Imran Khan while speaking on India-Pakistan relations vowed to have better relations with the neighbouring country through dialogue.